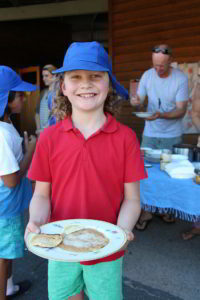 At DRSS, as in other Rudolf Steiner schools, Festivals are held to help children form meaningful connections with the course of the year. Seasonal festivals serve to connect people with the rhythms of nature. The festivals originated in ancient cultures, yet have been adapted over time. To join the seasonal moods of the year in a festive way, benefits the inner life of the soul. Celebrating is an art. There is joy in the anticipation, the preparation, the celebration itself and the memories. In Spring we hold the Spring Festival, a joyful celebration of music and dance when we open the school to the wider community. Summer brings the Christmas celebrations in which each class prepares and presents the nativity play. These plays vary from simple little one act plays and songs from the Class 1 children, to full scale productions in the upper school. In Autumn, we celebrate the Michael Harvest Festival. The more inward festival of Easter can also be celebrated at this time in appropriate ways for each class. The Winter Festival involves the whole school, including parents and friends. We create an atmosphere in which together, we can experience an inner warmth and sharing, thus overcoming the coldness and contraction of Winter. 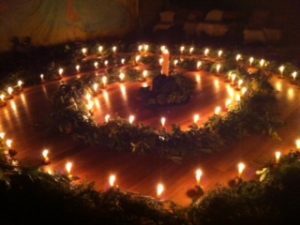 This is a festival of dark nights, lamplights, fires and a communal coming together on the night of the Winter Solstice. All the festivals together form a calendar of the soul. The Class Teacher/Guardian’s role is to prepare the students for the whole school celebration of each season. This involves musical performances, drama presentations, cooking and decorating the area, and helping and nurturing the younger children with the celebrations as their role models. Special consideration is given to the spiritual essence of the natural occurrence of the seasons and each individual’s association with it.